This past week, a number of Pace Publishing students and faculty attended the annual BookExpo America Conference at the Javits Center. BEA is a great opportyunity for students to gain a scope of industry, network with other publishing professionals, learn about new books and meet authors. If you weren’t able to attend BEA or missed certain conference events, visit BEA LIVE! on your computer or mobile device to catch up! “One of the things that was first things impressed upon me in the publishing program was that I needed to go to BEA. This being my first semester at Pace, I had to admit my naivete, I neither knew what BEA was nor why it was important. My fellow students were quick to educate me on the Book Expo of America though and how attendance would give me valuable experience and perspective into the industry on which I was now a part of. Pace Students at BEA 2013 (from the left) Susan Seeman, Tatiana Makarevich, Heather Allen and Caroline Acebo. walked the floors for the first time visiting booth after booth, publisher after publisher, familiarizing myself with how they filled a niche in publishing. It was in my second pass that I began to take a more active role, talking with authors and also collecting more than a few freebies. The lectures and panels held at BEA were also invaluable in their information. I was lucky enough to attend a lecture on twitter and it’s use in our industry for marketing and a panel on e-books, e-book readers, and the future. These lectures will most definitely help this summer in my position as social media intern at Simon & Schuster. Author adminPosted on June 5, 2013 June 5, 2013 Categories Announcements, ArticlesTags BookExpo America, Caroline Acebo, Heather Allen, Miguel Cervantes, Susan Seeman, Tatiana Makarevich5 Comments on Publishing Students at BEA! 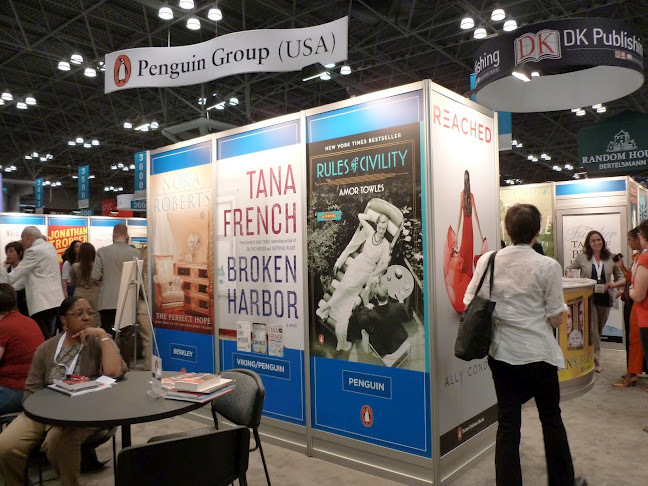 BookExpo America (BEA) is one of the premier publishing conferences in the world and the largest gathering of book trade professionals in the United States. Pace continues its tradition of providing a limited number of BEA admission tickets for MS in Publishing students! This is an amazing opportunity to visit one of the most important publishing conferences of the year, for free! The 2013 BEA will take place Thursday, May 30th–Saturday, June 1st 2013. The Publishing department will have nine tickets for students to the event. Anyone interested can sign up by emailing the Publishing Office at puboffice@pace.edu. Remember- Ticket distribution is on a first come, first serve basis! Click here to check out BEA’s website for further information. Author adminPosted on April 4, 2013 April 4, 2013 Categories Announcements, OpportunitiesTags BEA, BookExpo America, event passes, MS in Publishing Students1 Comment on Attend BookExpo America!